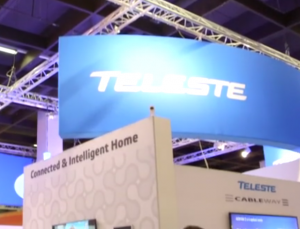 A significant decrease in orders for access network products and companies kicking off with plans to implement distributed access architecture solutions dented Finnish broadband technology outfit Teleste’s half-year results. However the company’s top line received a strong boost from video security and information solutions as well as improved productivity in the services business in Germany and a successful sales launchin the US cable market, according to CEO Jukka Rinnevaara. Teleste posted net sales of €124.5 million for the first half, an increase of 4%. Operating profit stood at €4.3 million, down 9% thanks to a goodwill impairment and restructuring provision for the services business in Germany totalling €9.3 million. Rinnevaara said that the prior period had included significant orders for DOCSIS 3.1 network updates. He said that net sales of access network products in 2018 would be lower than in the previous year, but that operators’ investments in distributed access architecture will enable growth in upcoming years.